Matt Williams is the inaugural Director of the Center for Communal Research. He joined the OU after serving as the Managing Director of the Berman Jewish Policy Archive, an open-access online library and advisory group for Jewish professionals and lay leaders. He has conducted an array of research projects, developed strategic plans, and guided the design, execution, and evaluation of programs for a variety of Jewish and non-Jewish institutions, ranging from day school kindergarten classrooms to philanthropic foundation boardrooms. Originally from Oklahoma, but having lived throughout much of the United States, Williams is a graduate of Yeshiva Atlanta High School (now the Atlanta Jewish Academy), during which he interned for the Beit Din of America. He holds degrees in Art History, English, and Jewish Studies from Yeshiva University’s Honors program and was recognized as the Outstanding Honors Program Scholar and a Point of Light upon graduation. He received a master’s degree in History and Public Policy and is currently finishing a doctorate degree in Education and History with a concentration in Jewish Studies from Stanford University. Prior to attending graduate school, Williams served as both a Jewish day school teacher and a museum curator. His research primarily focuses on Orthodox outreach in North America and Israel. Other research projects have touched on the nature of autonomy in Orthodox educational settings, the evolving economic, political, and social fabric of the North American Jewish community, the political economy of Holocaust remembrance, and meta-issues regarding the study of religious experience. 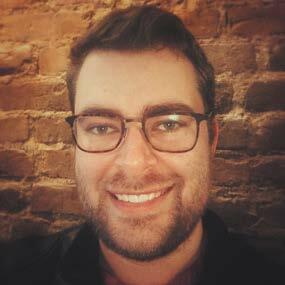 Williams is an alumnus of the Wexner Graduate Fellowship, as well as a former Jim Joseph Fellow in Jewish Education, a summer fellow at the Katz Institute for Advanced Judaic Study, a Mellon Initiative Scholar at Yale University, and a visiting researcher at New York University. He’s a proud member of the Choctaw Nation of Oklahoma and a Sephardic Jew of Moroccan descent. He and his wife, Amy, live in Irvine, California.